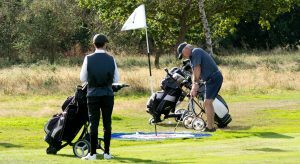 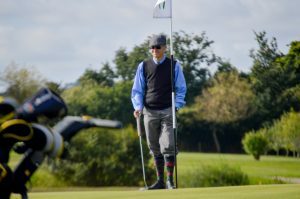 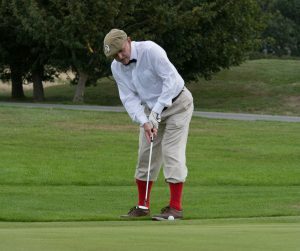 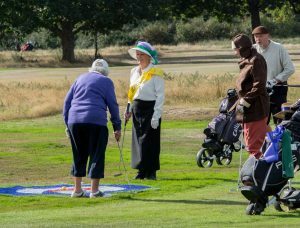 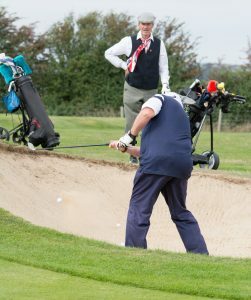 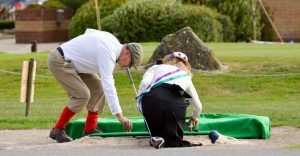 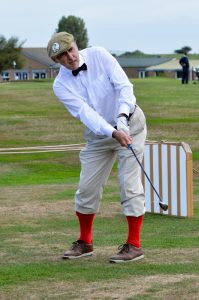 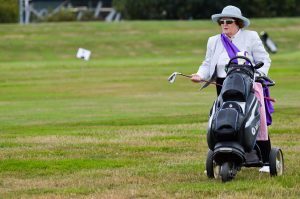 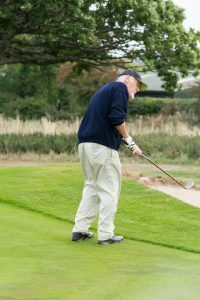 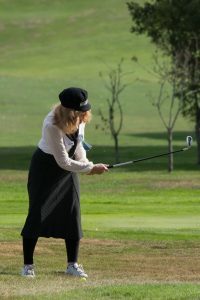 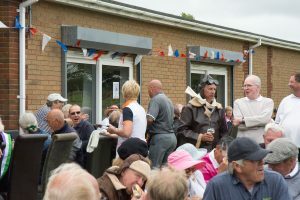 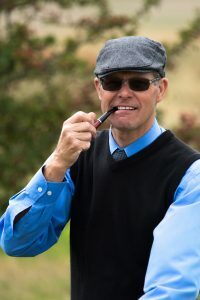 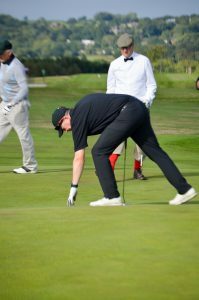 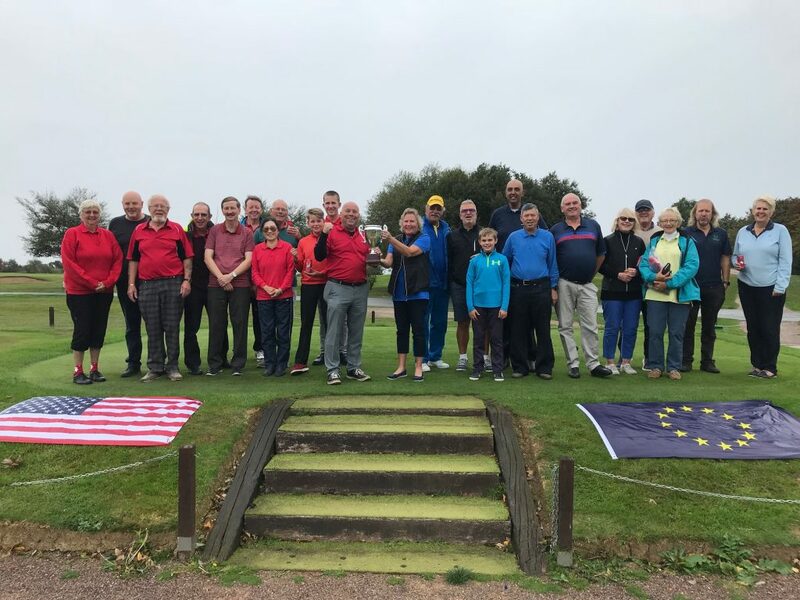 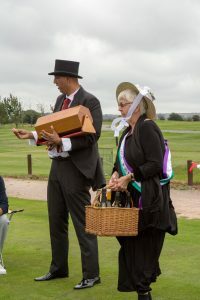 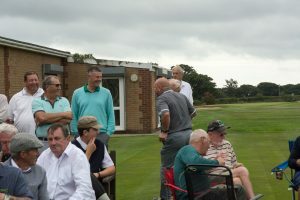 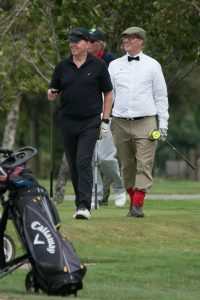 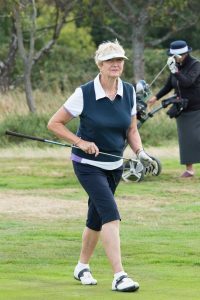 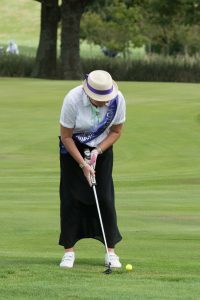 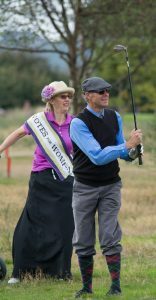 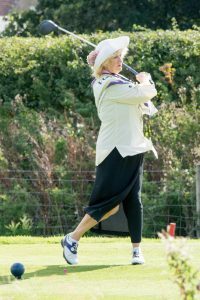 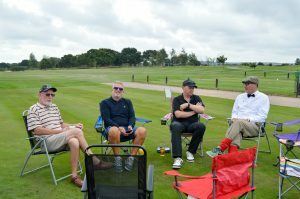 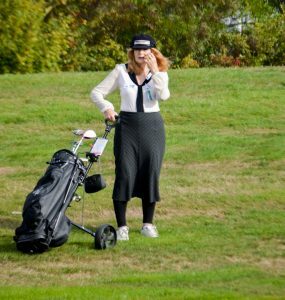 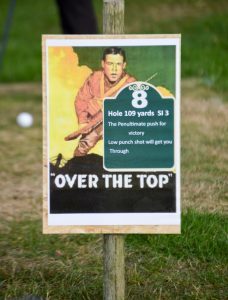 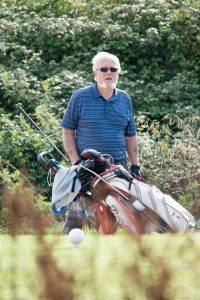 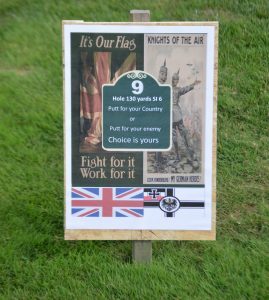 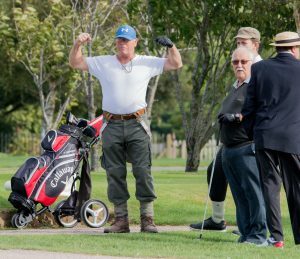 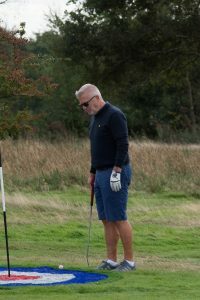 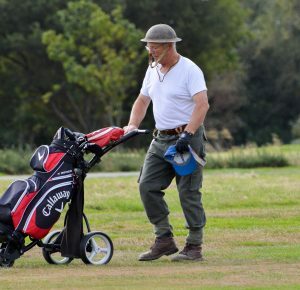 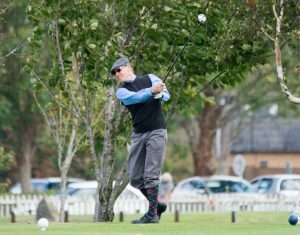 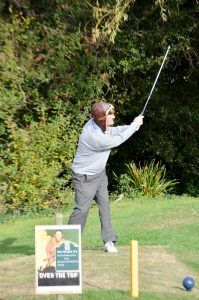 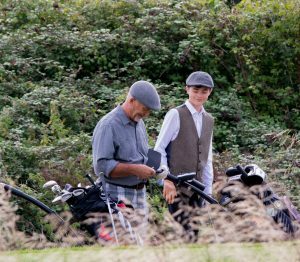 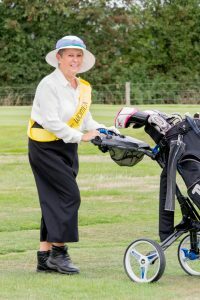 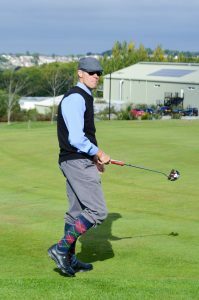 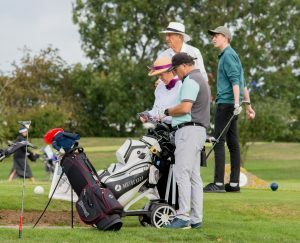 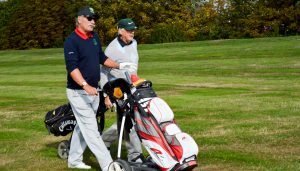 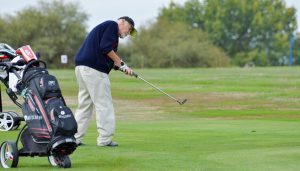 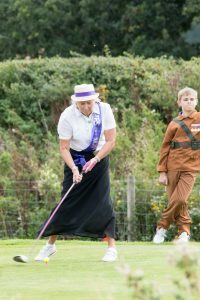 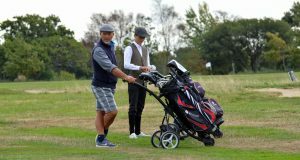 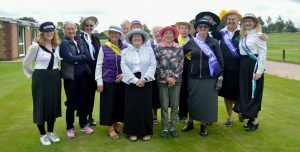 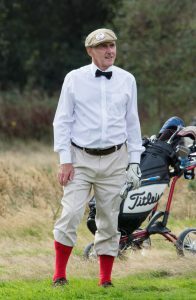 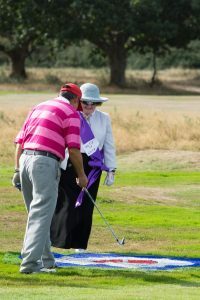 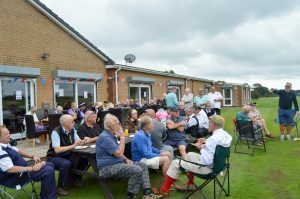 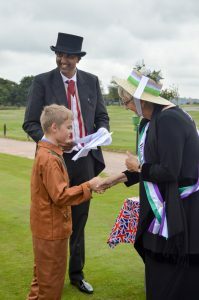 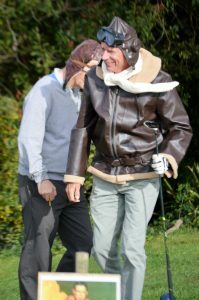 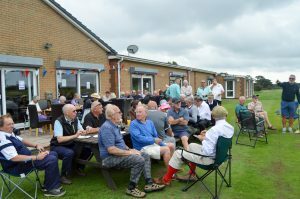 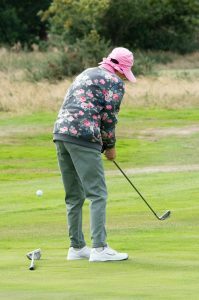 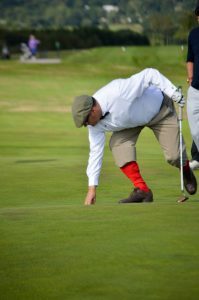 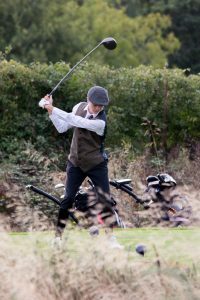 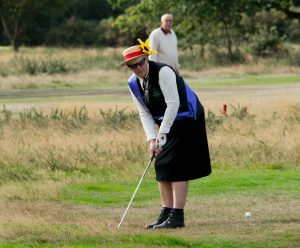 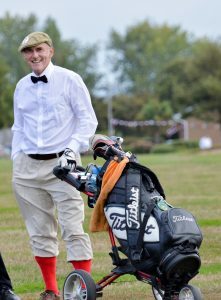 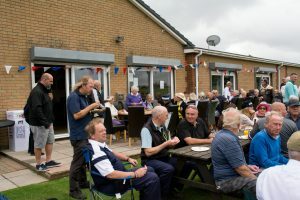 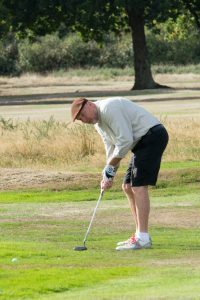 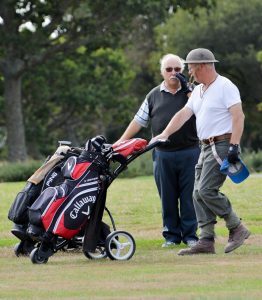 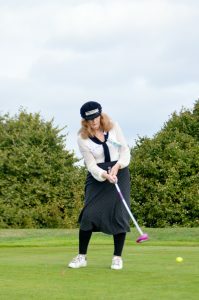 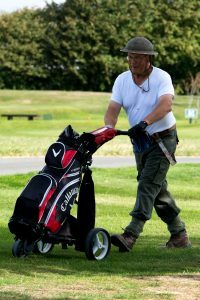 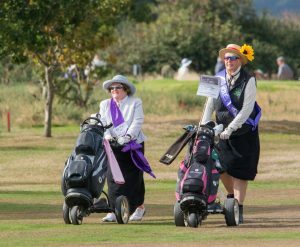 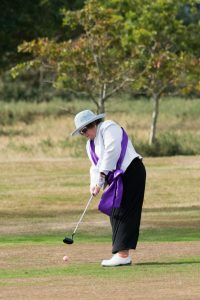 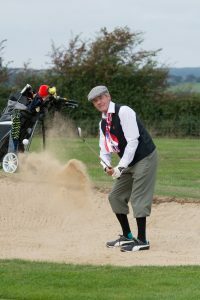 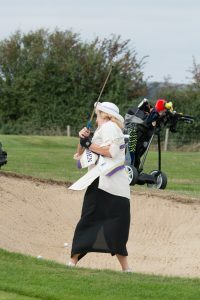 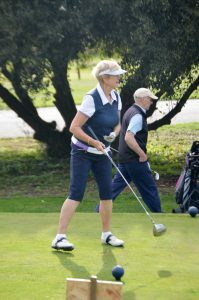 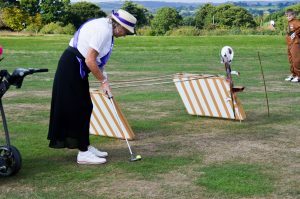 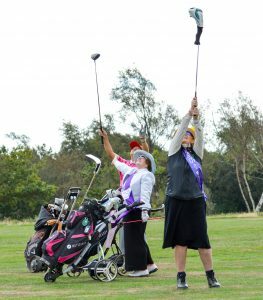 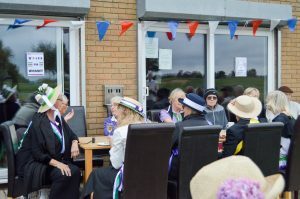 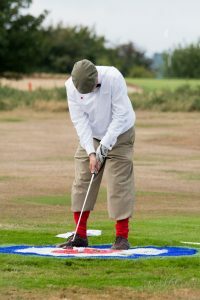 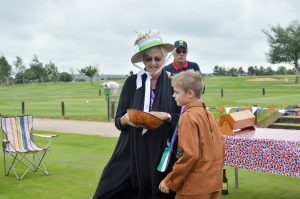 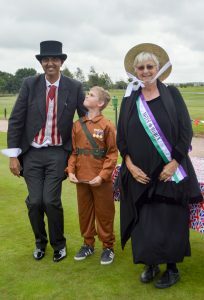 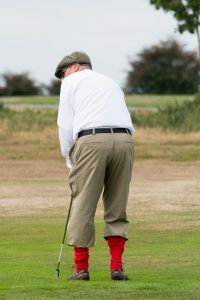 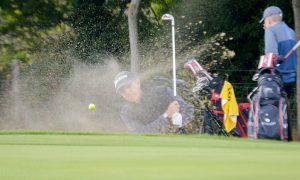 Marilyn Barrell and I hosted around ninety members in the Westridge Captains Day “1918” themed event.The aim was to achieve comradery between the members and to have a great time and golf to be not the focus for a change. 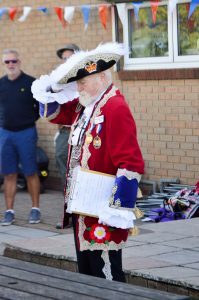 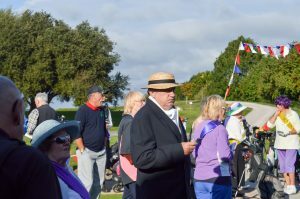 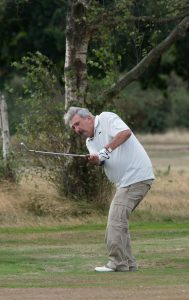 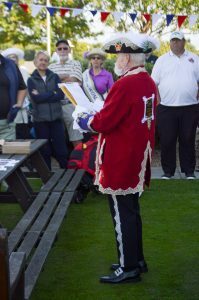 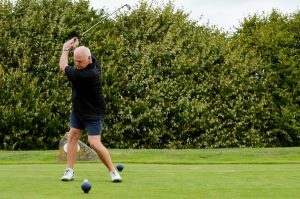 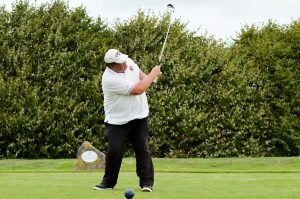 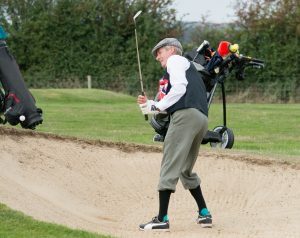 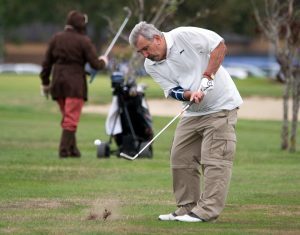 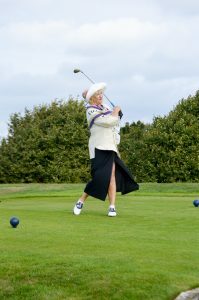 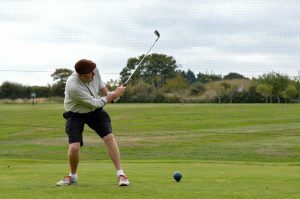 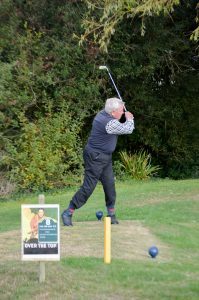 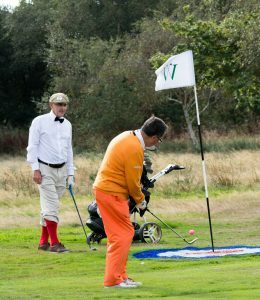 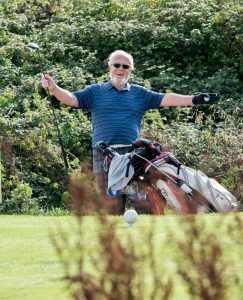 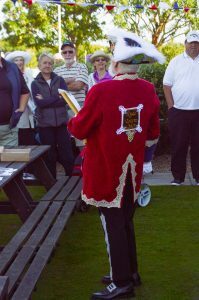 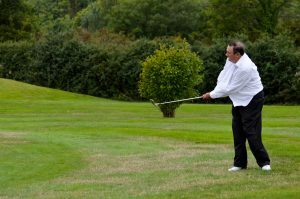 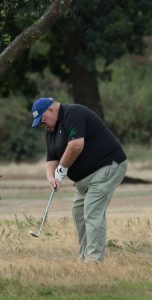 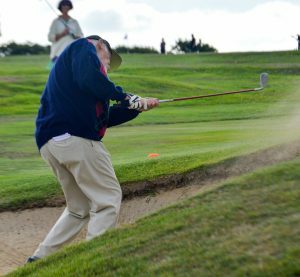 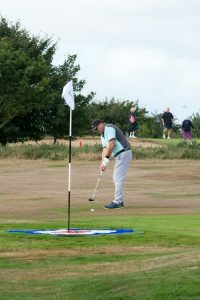 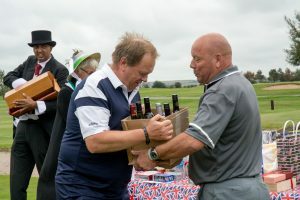 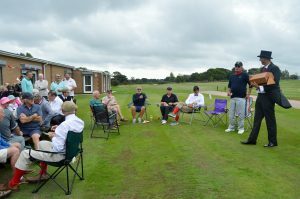 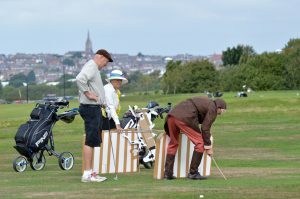 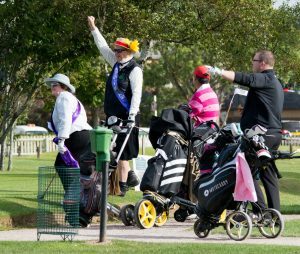 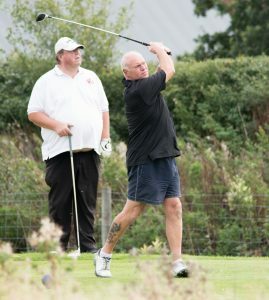 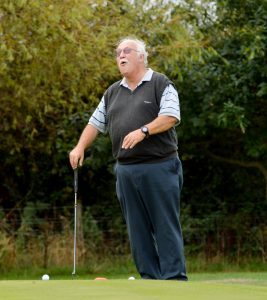 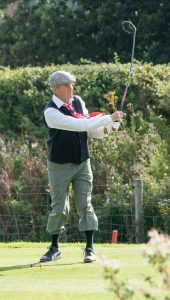 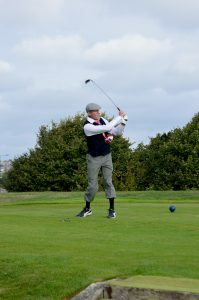 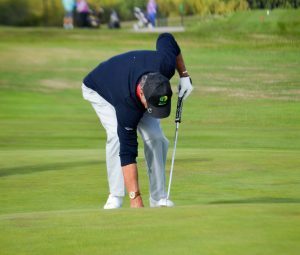 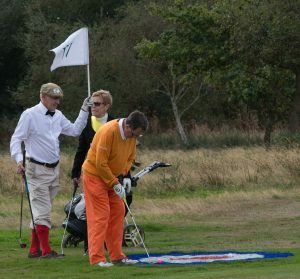 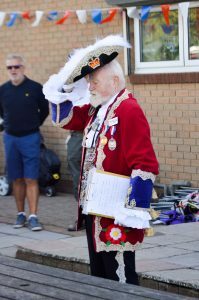 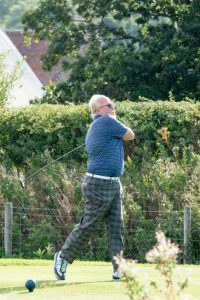 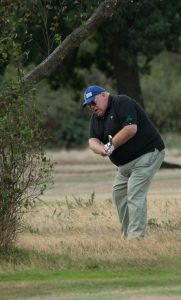 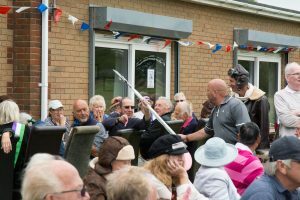 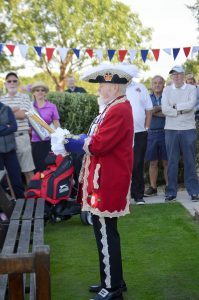 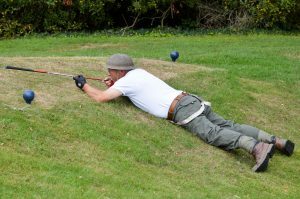 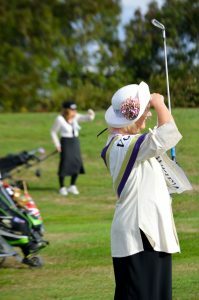 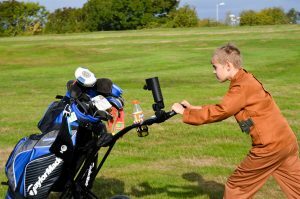 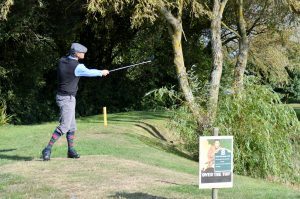 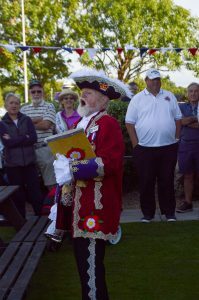 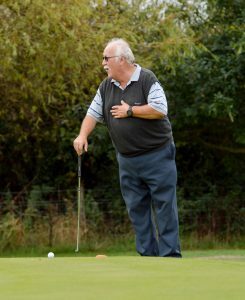 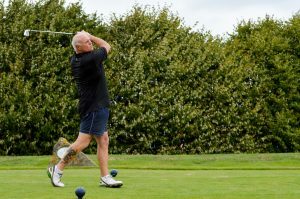 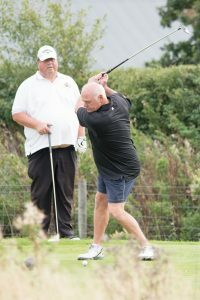 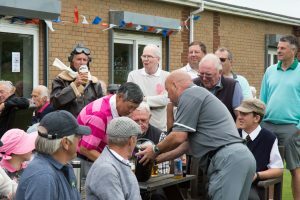 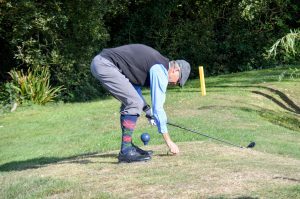 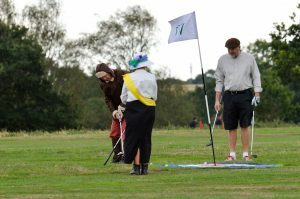 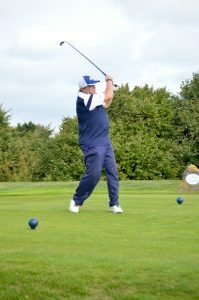 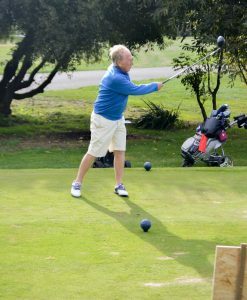 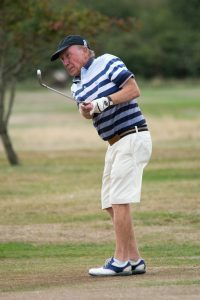 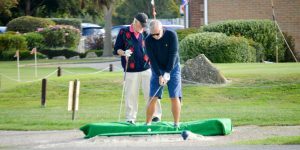 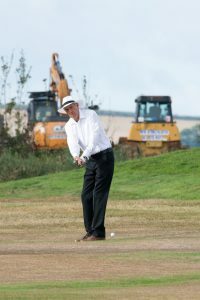 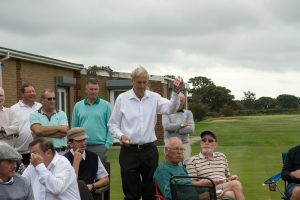 The event started with Ryde Town Cryer Steve King and all members proceeded to their designated tees for a shot gun start. 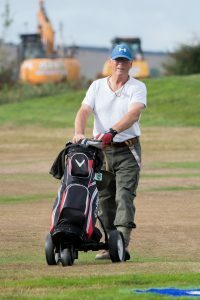 A lot of preparation went in to preparing the course in the morning thank you to Course manager Paul Jenkins, Trevor Blair and Darcy. 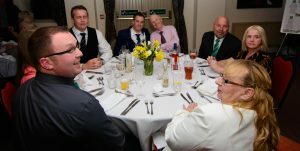 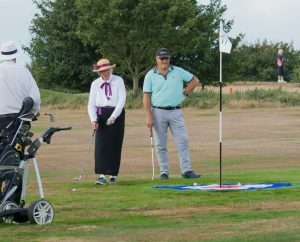 Members who also kindly helped Nick Geeson, Helen Whittaker, Dave May, Rose Budd, Geoff Budd, Frank Brazier, Martin Debenham and Peter Dixey. 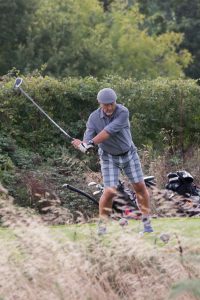 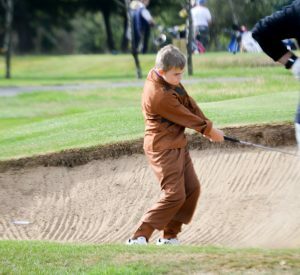 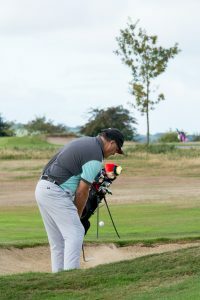 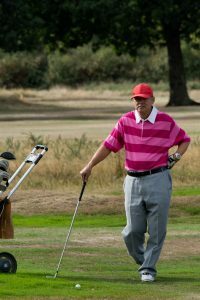 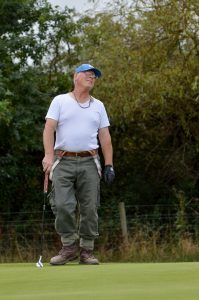 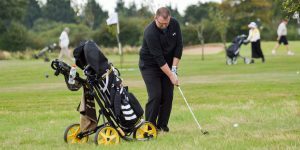 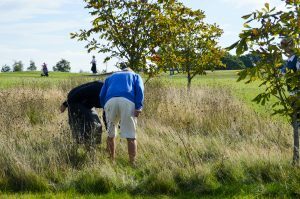 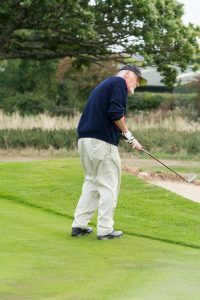 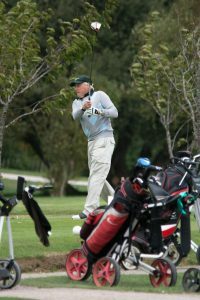 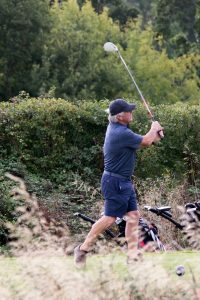 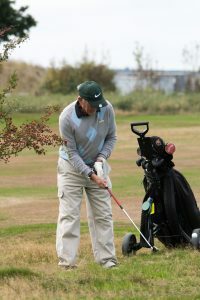 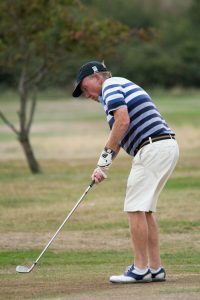 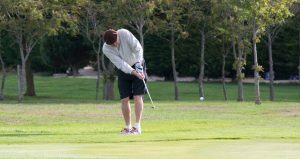 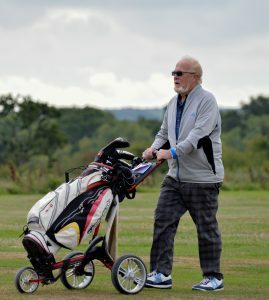 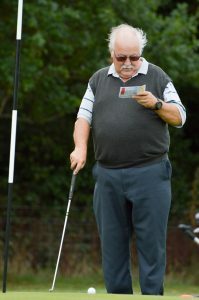 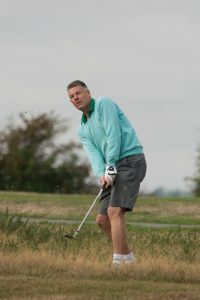 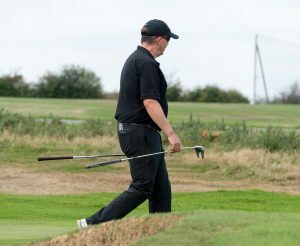 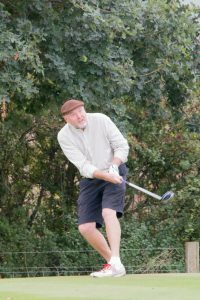 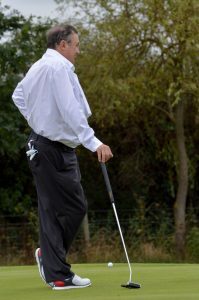 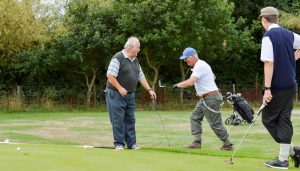 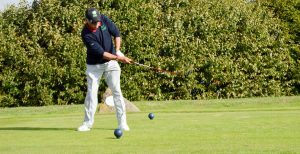 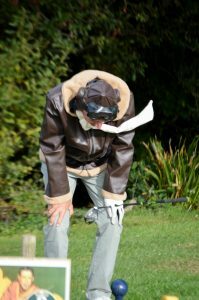 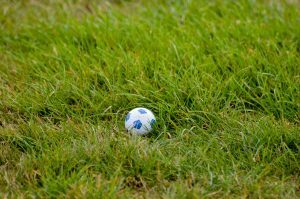 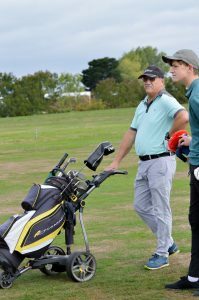 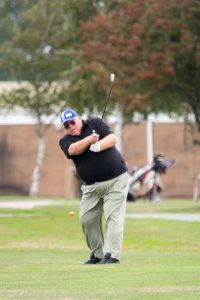 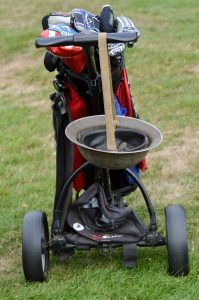 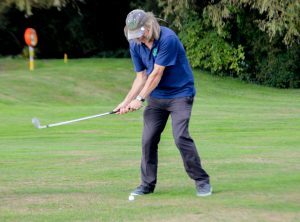 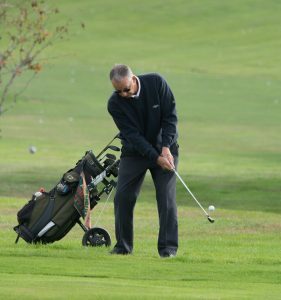 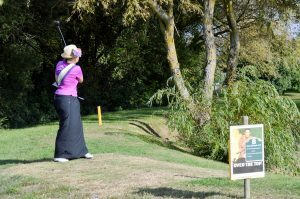 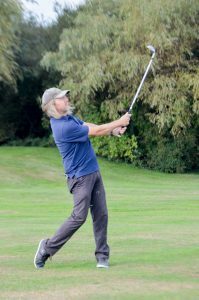 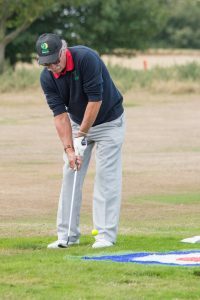 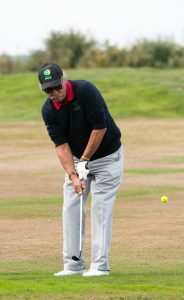 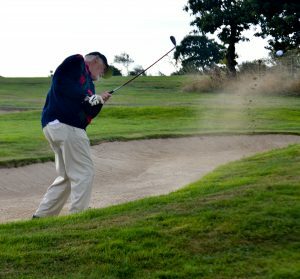 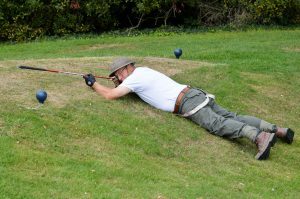 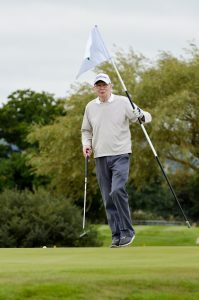 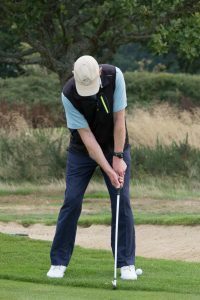 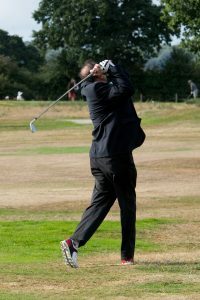 Members played in a non-regulated very toughsetup course 9 Hole Stableford. 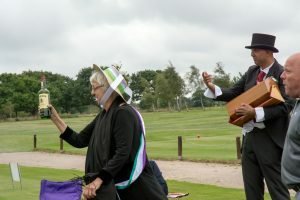 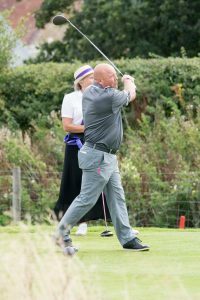 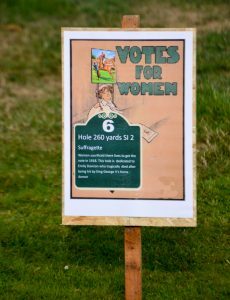 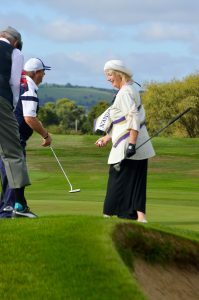 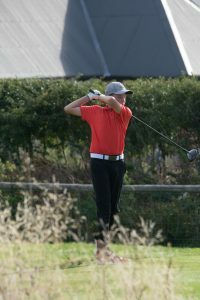 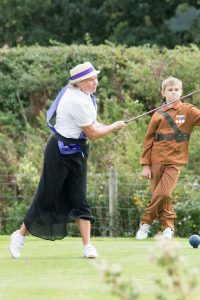 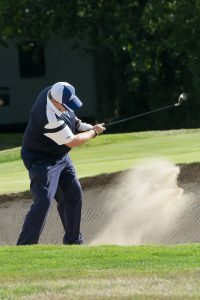 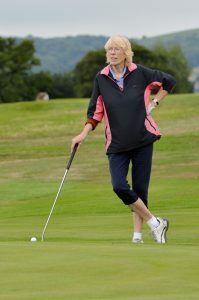 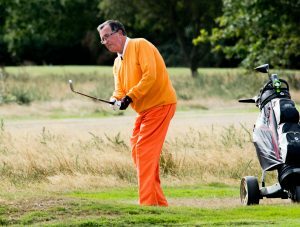 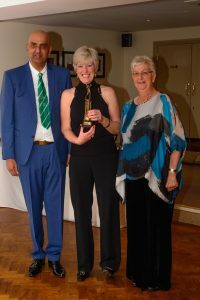 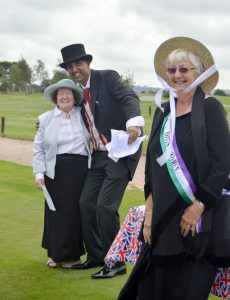 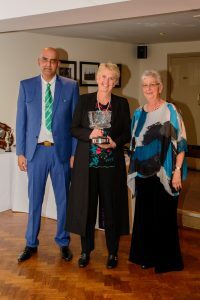 The Stablefordwon by Janet Brazier, second Andrew Reed and third Glenn Winnard. 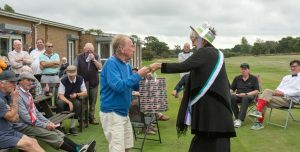 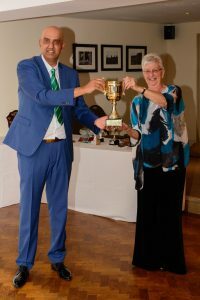 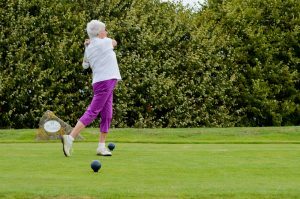 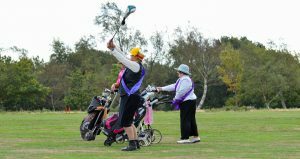 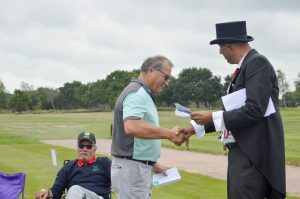 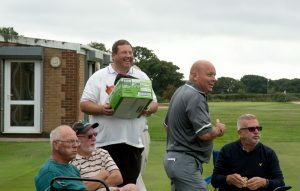 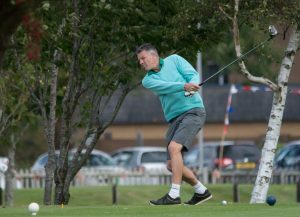 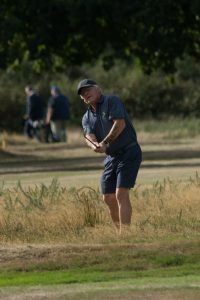 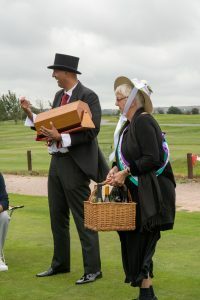 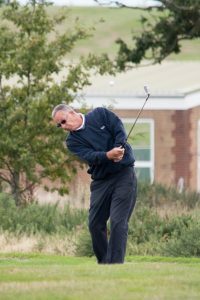 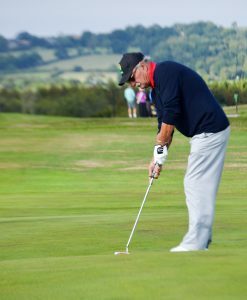 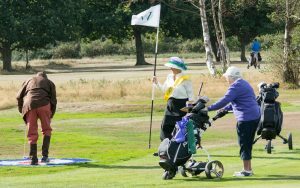 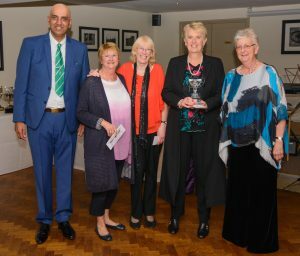 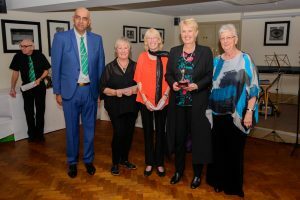 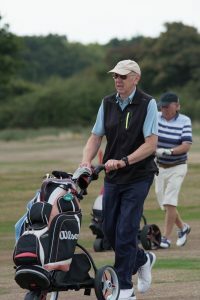 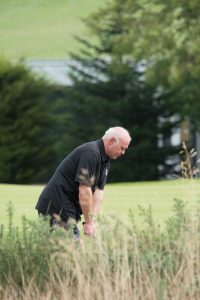 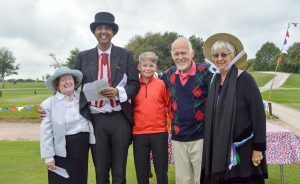 Another twist Captains Charity Shield (Hidden Fours),1st Joel Tarry, Roger Sims, Pat Metcalf and Janet Brazier, 2nd Geoff Budd, Helen Whittaker, Chris Smith, Christine Hodgkinson ,3rd Dave Tarry, Jasmine Royl, Peter Dixey and Margaret Abbott. 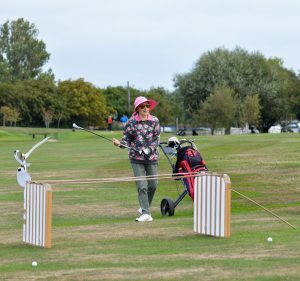 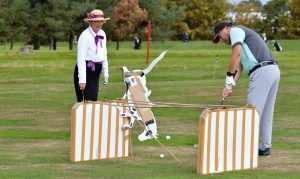 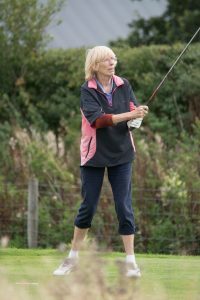 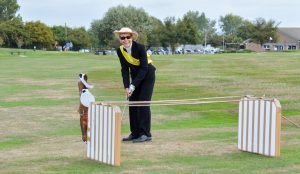 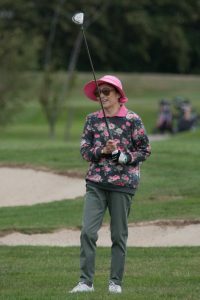 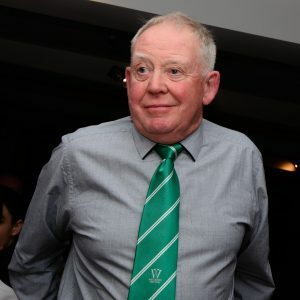 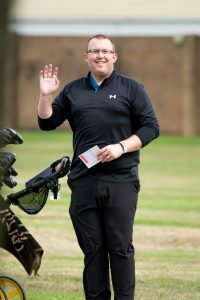 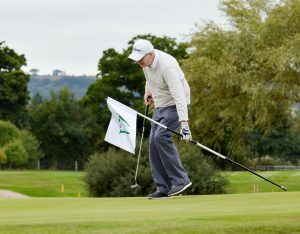 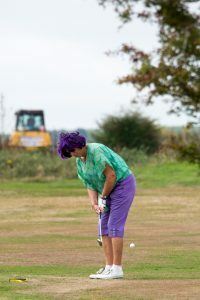 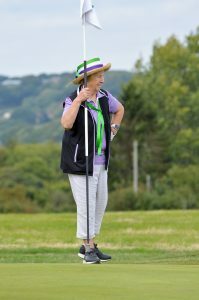 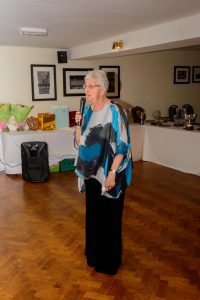 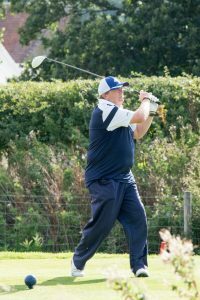 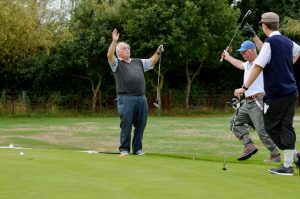 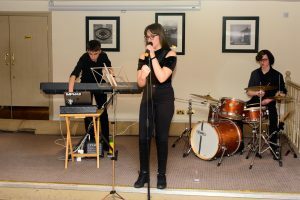 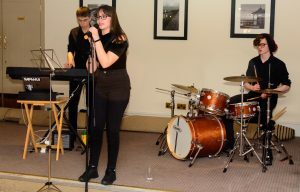 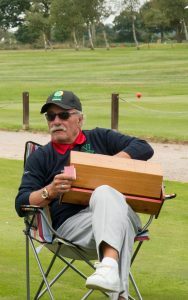 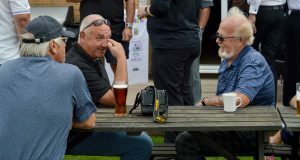 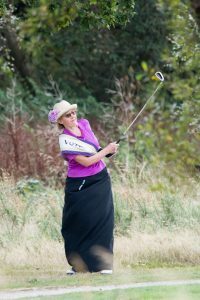 Thank you to Lesley Vail for entertaining the members by flying over in a micro light half way through the event also thank you to Philip Brennan and Dennis Wilson for compiling the scores. 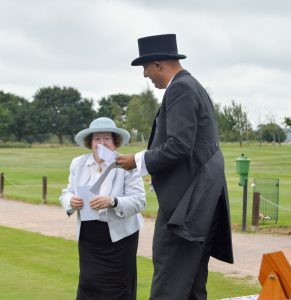 Best Dressed Lady Janet Brazier chosen by Mark Wright. 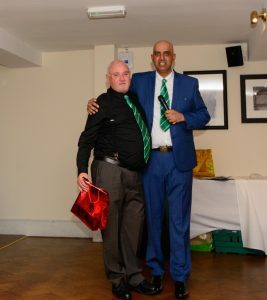 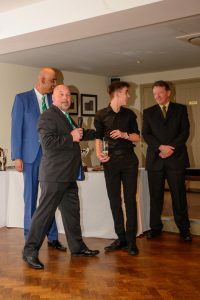 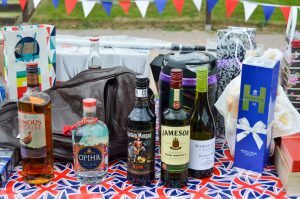 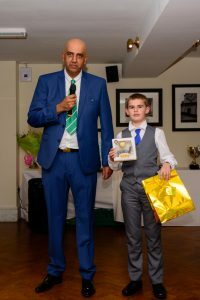 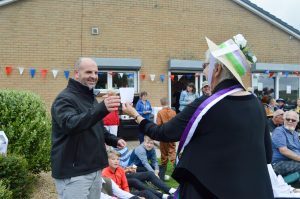 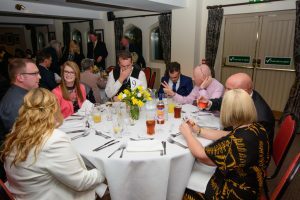 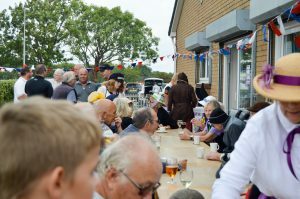 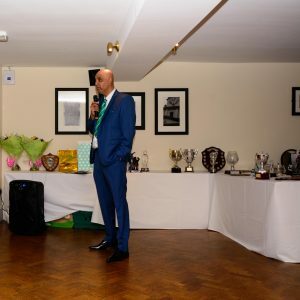 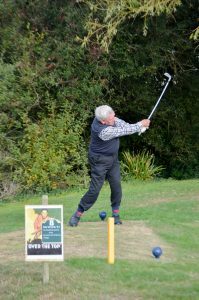 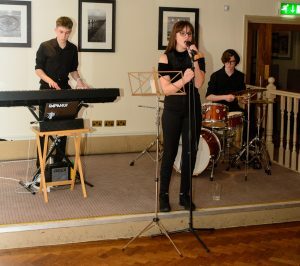 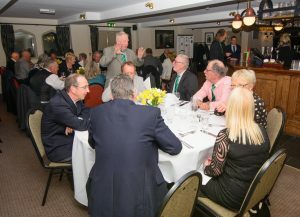 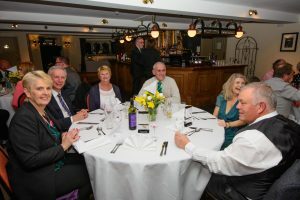 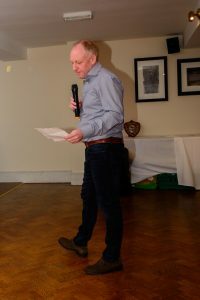 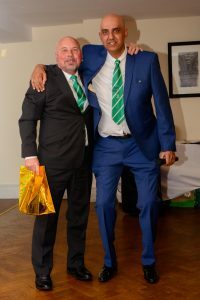 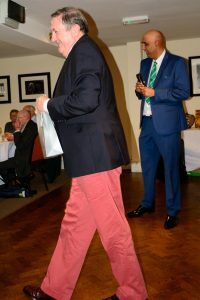 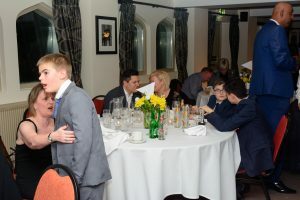 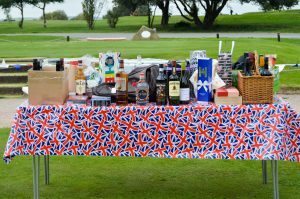 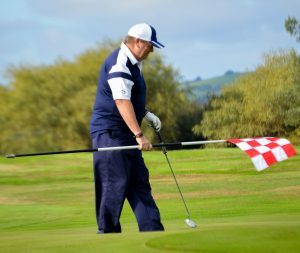 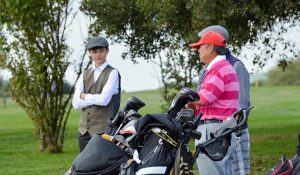 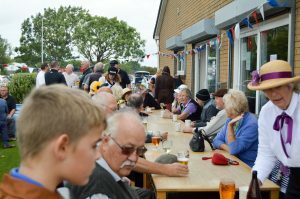 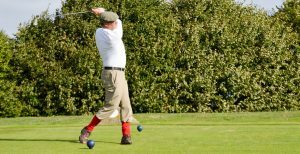 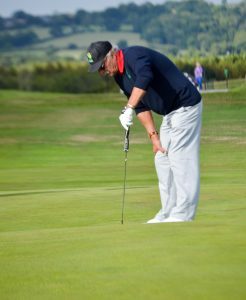 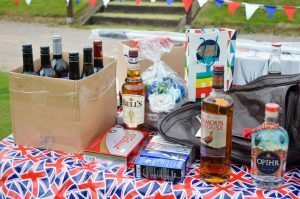 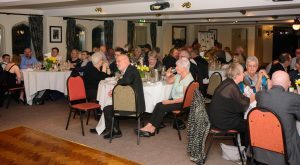 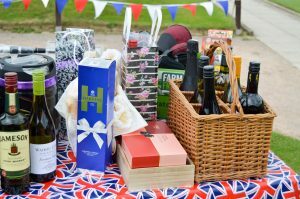 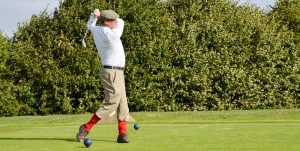 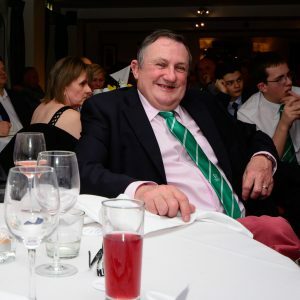 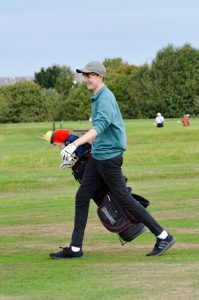 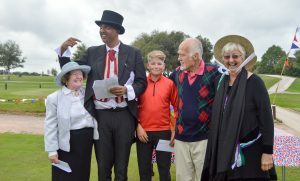 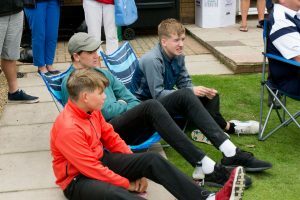 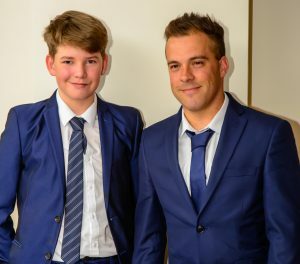 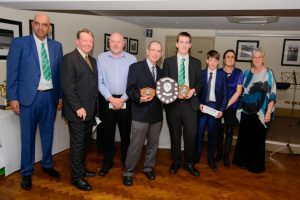 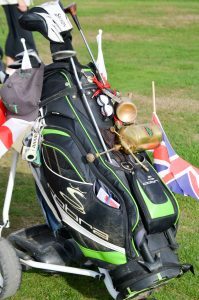 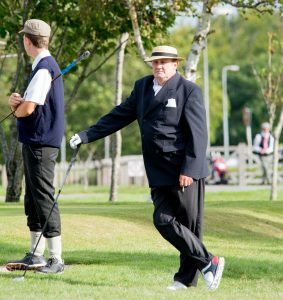 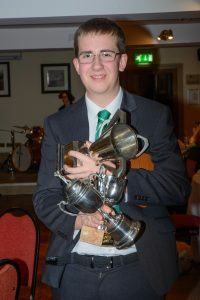 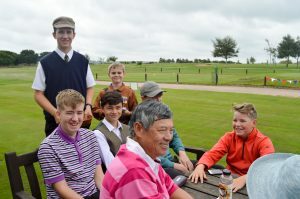 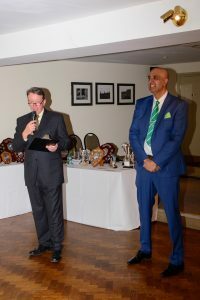 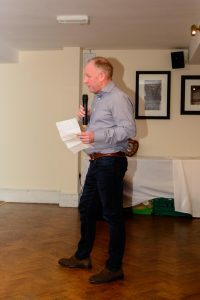 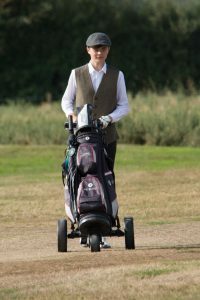 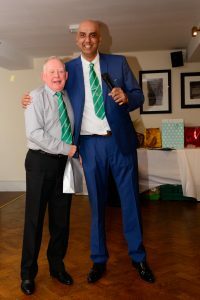 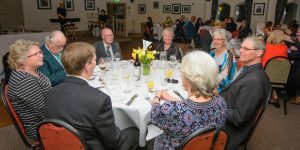 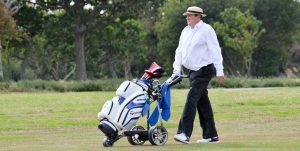 All Prize money provided by The Taverners of Godshill, Ming and Lia Sing Choi I like to say a big thank you and recommend you visit Godshill, The Taverners will provide you with the most wonderful culinary experience on the Isle of Wight. 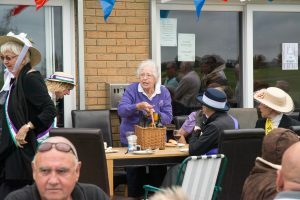 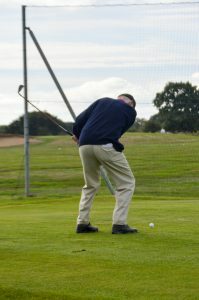 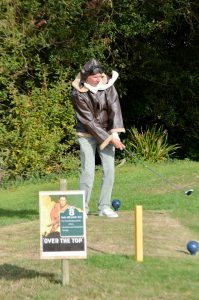 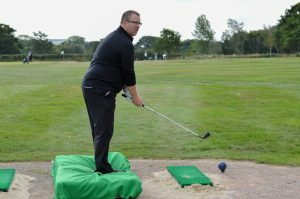 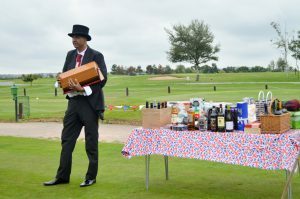 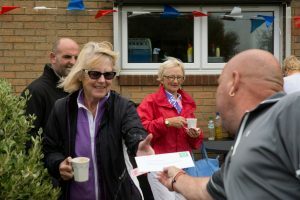 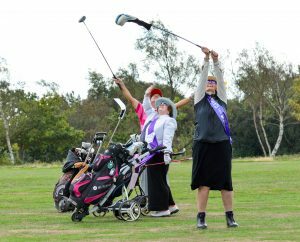 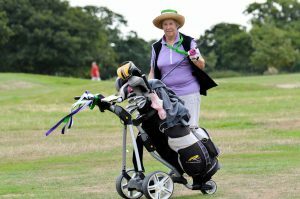 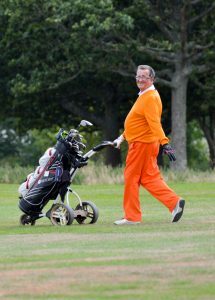 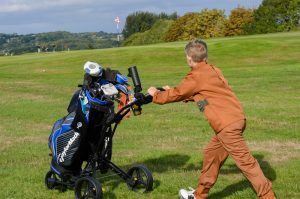 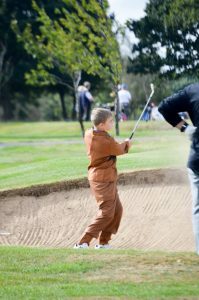 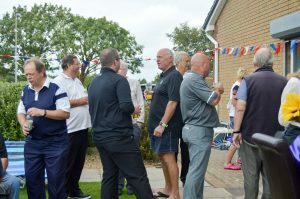 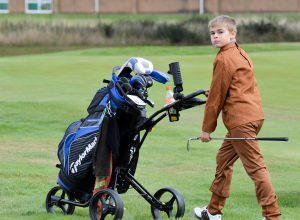 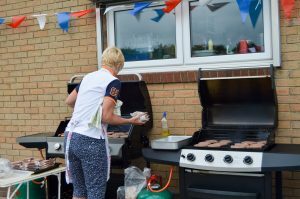 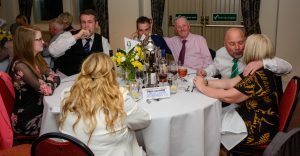 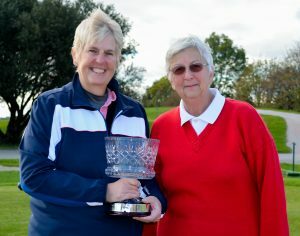 After the GolfBBQ was enjoyed by all special thanks to Joanne Wright and her team Sarah Lloyd and Jill Prouten. 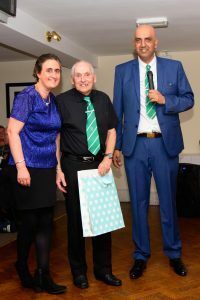 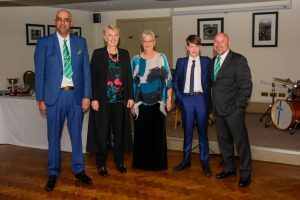 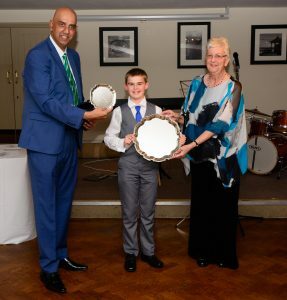 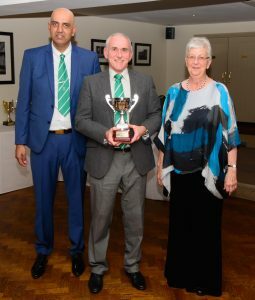 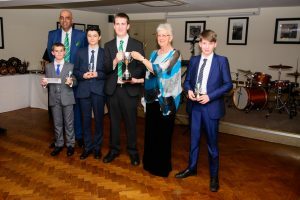 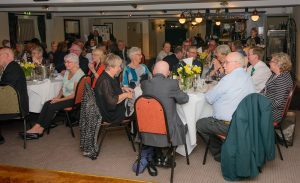 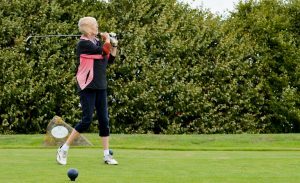 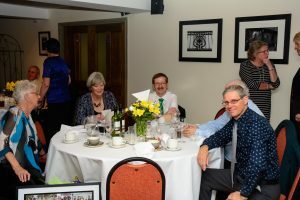 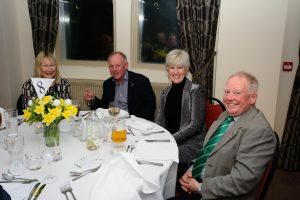 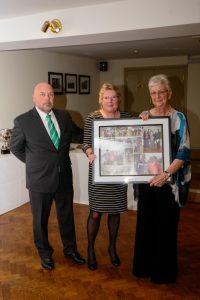 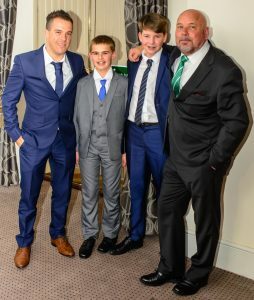 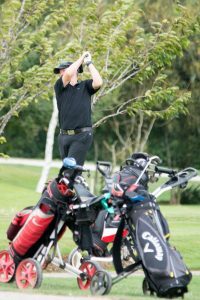 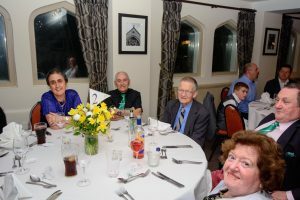 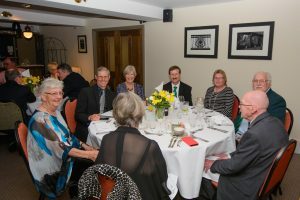 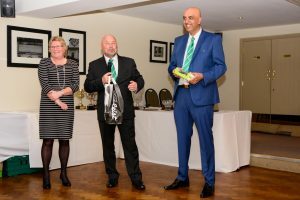 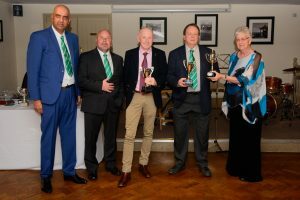 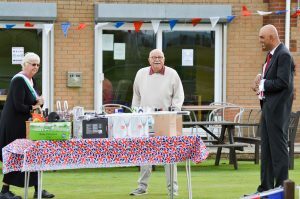 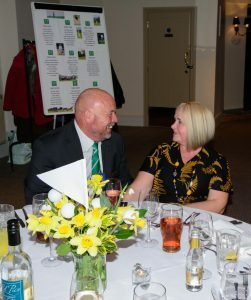 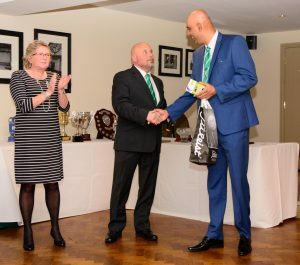 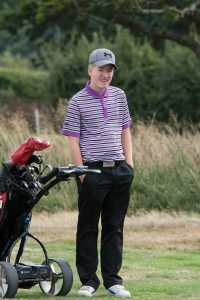 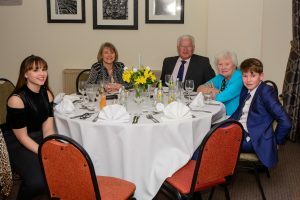 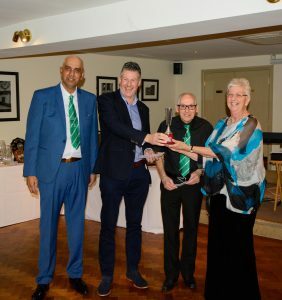 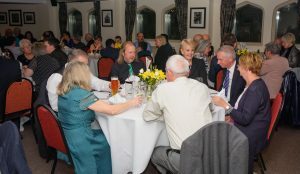 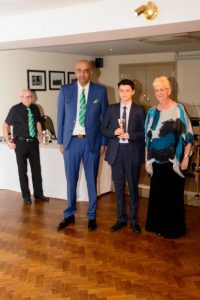 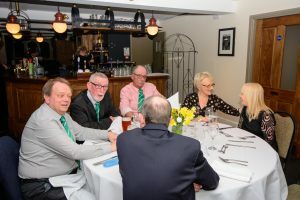 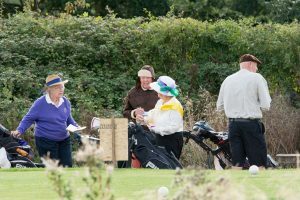 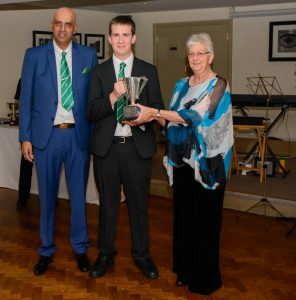 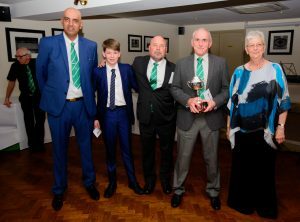 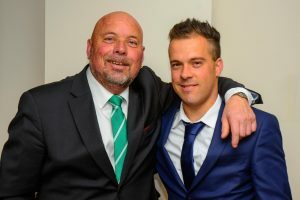 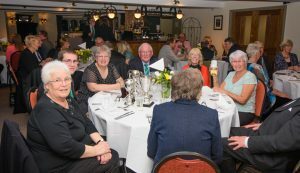 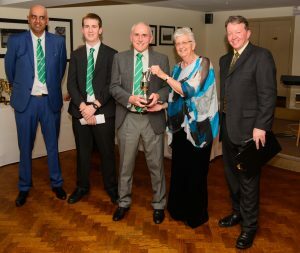 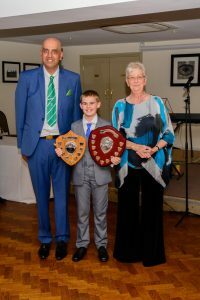 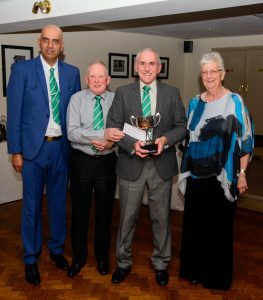 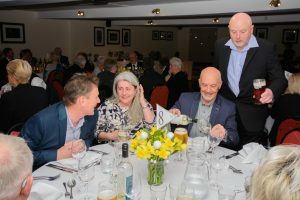 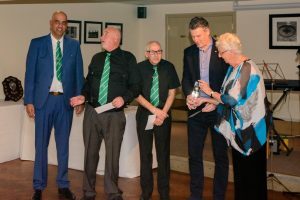 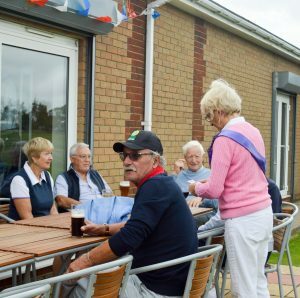 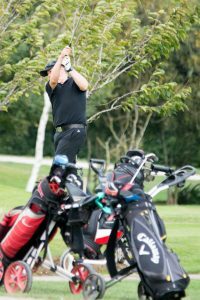 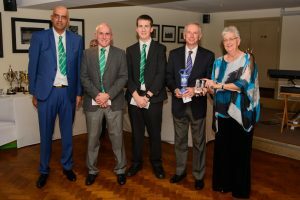 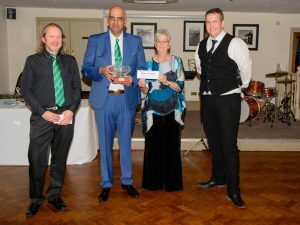 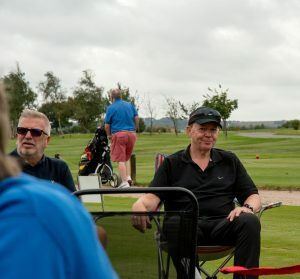 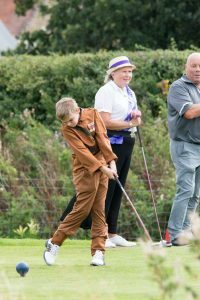 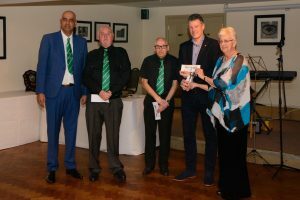 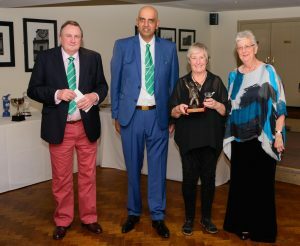 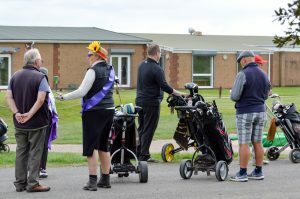 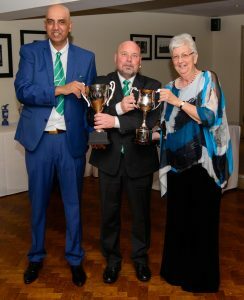 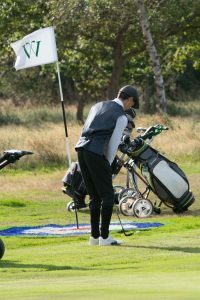 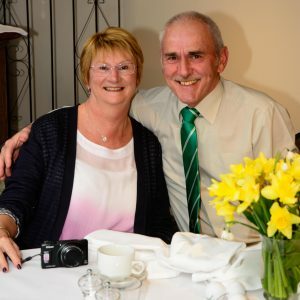 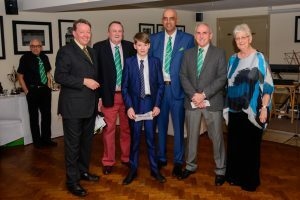 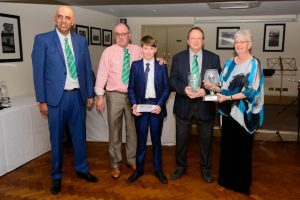 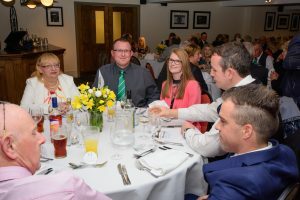 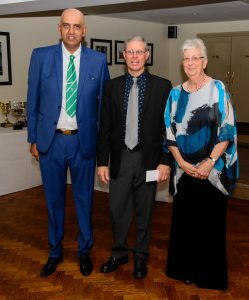 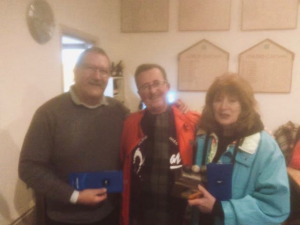 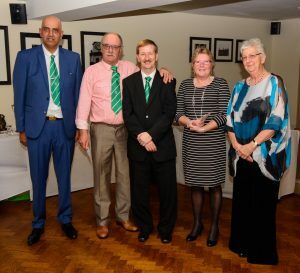 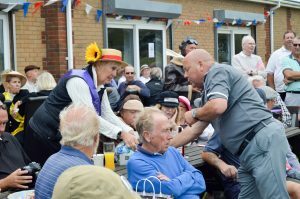 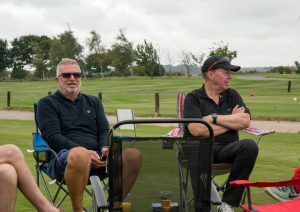 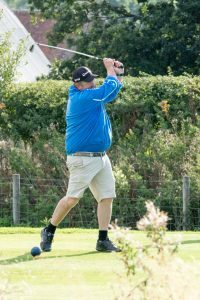 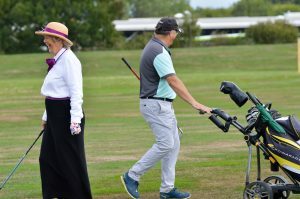 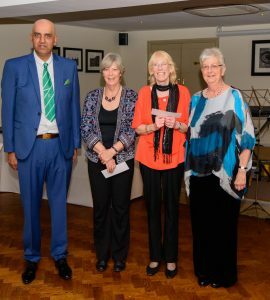 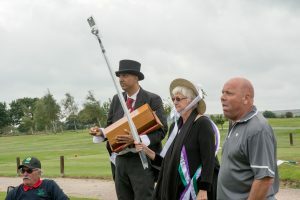 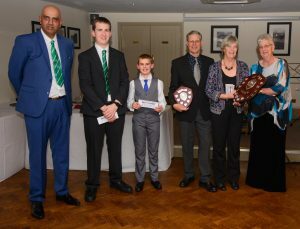 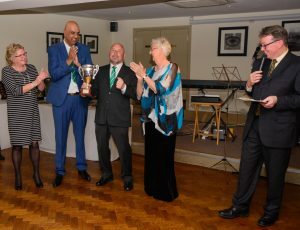 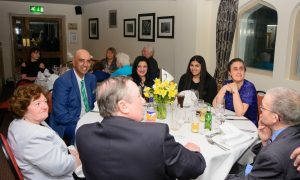 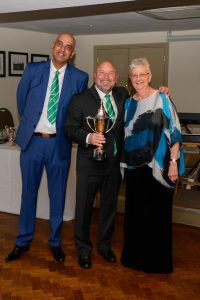 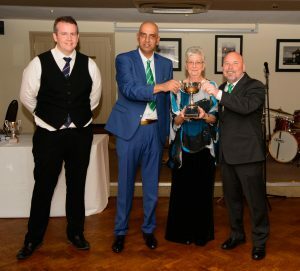 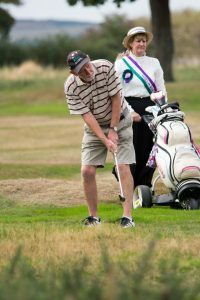 Photographs provided by Gordon and Bronte Debenham and finally good luck for next year to Vice Club Captain Dave May and Lady Vice-Captain Rose Budd.